As you know reseller hosting allow you to sell server space and bandwidth to your customer. In simple words you can sell cheap hosting india plans to your customer without paying any extra charges to us. And in case you need extra resources such as bandwidth and storage space, you need to pay extra for that. Once you utilize all your monthly quota of bandwidth, you will need to buy extra bandwidth. At HostingRaja we provide 3 different plans for Linux reseller hosting with different specifications, you can choose any package based on your needs. You will be charged flat fee for reseller hosting for a particular package. Suppose you purchase our Silver reseller hosting plan which costs Rs.1200/mo. Contains 75 GB Web Space and 1 GB RAM, once your account utilize 75GB of RAM you need to upgrade to higher package for example you need to upgrade to our gold or platinum reseller hosting packages which will cost you Rs.2475/mo. For Gold and Rs.4050/mo. For platinum package. Once you exceed the server’s bandwidth your website may stop working or it may load slow. To increase the quota of your bandwidth you need to contact our support team. You can get more bandwidth by paying more charges. 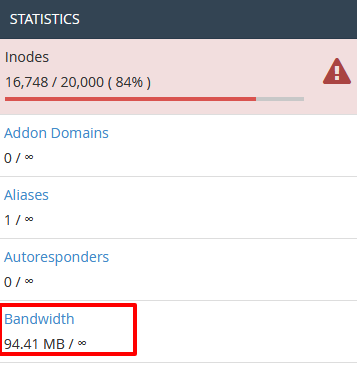 We highly recommend you to take bandwidth measures in order to prevent overage. 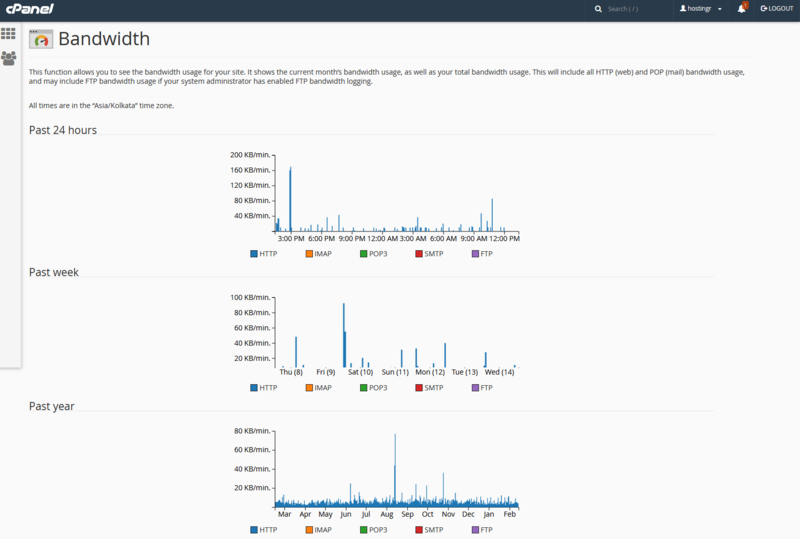 You can check the bandwidth usage statistics from control panel of your hosting account. Locate to Statistics option . If your website's traffic is increasing continuously, you can upgrade to higher package from us so that your website can run smoothly. Feel free to contact our Support team today, if you any further questions.